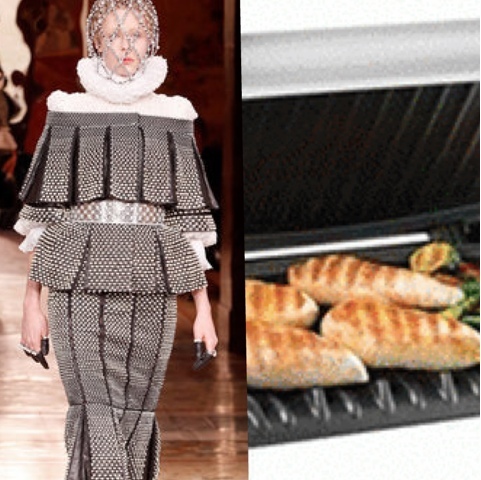 Wear + Tear: McQueen Your Room Or No Dessert For You! McQueen Your Room Or No Dessert For You! Wow. What a mess. 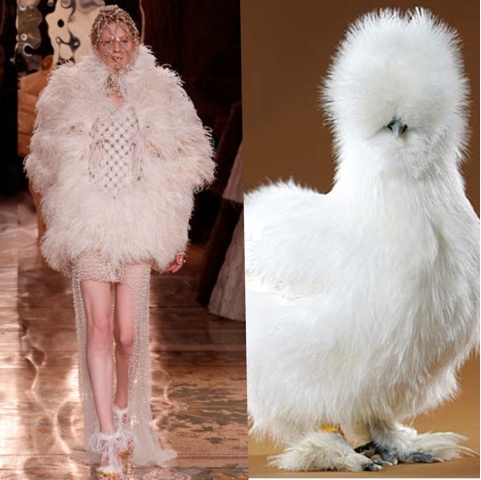 Sarah Burton has done it again, but in my humble opinion, she's really upped the stakes this time. Or should I say steaks? 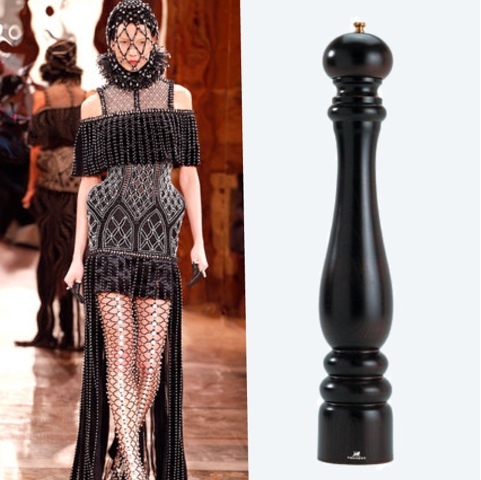 A butcher's block would come in handy for this minuscule, over-thought and quite frankly disappointing Fall 2013 RTW Collection. What part of the 10 looks, which actually consisted of 5 stretched out, is ready? Certainly not ready to wear. I don't know where on this planet you could wear these creations without making a mockery of both yourself and Alexander himself, may he rest in peace. Bordering on Couture is one thing, but this ivory atrocity belongs in an Elizabethan fancy dress store back catalogue. I've also noticed some strange imagery springing to mind when I flip through the mere 10 looks, so I created some visuals for your viewing pleasure. 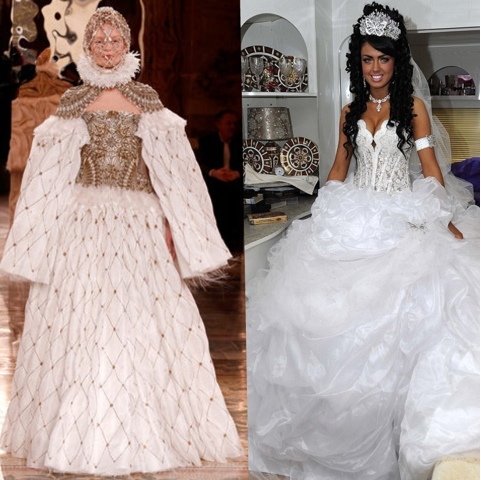 One look reminds me of My Big Fat Gypsy Wedding. Equally as unwearable, equally as overpowering and genuinely ugly to look at. Another mimics the silhouette and texture of a Silky Chicken. Fluffy, round and pretty much useless to most farmers. Most of the faces are covered, which McQueen has done in the past, but let the poor girls see where they're going for fashion's sake! One looks like some sort of futuristic pepper grinder that a wanky waiter would hold a metre above your entree-sized linguine and command "CRACKED PEPPER MADAME!" It's not a question. You're having cracked pepper. The last look I'm critiquing has me wondering if the hungry models could take the jacket home after the show and grill themselves a steak a la George Foreman. So in conclusion, I don't like this collection. It's not even a collection. I understand Sarah Burton was in the later stages of pregnancy whilst preparing this range, but just because you're feeling like a blimp, doesn't mean everyone should want to look like one.